CableLabs, the non-profit innovation and R&D lab supporting the cable industry, is perhaps best known for developing the technologies that drive cable internet and television. For example, they’re the group responsible for developing DOCSIS, the technology standard capable of delivering gigabit broadband to communities across the country using existing infrastructure. More than just designing the nuts and bolts of internet and television technology, CableLabs is also thinking big on the futureof telehealth, driverless cars, virtual reality, and the internet of things, which, as a technology category, is one of the fastest growing consumer technology segments of the last ten years. Cisco predicts there will be three times as many connected devices as there are humans on earth by 2021. But questions remain as to how we’ll manage these billions of internet of things devices. How will they communicate with each other? And how will they take us from today, where most IoT devices are either novelties or offer minor convenience enhancements, to tomorrow, where they’ll be capable of changing the way we interact with each other and with the world around us? In a recent blog post, CableLabs began to answer these questions when they announced a new open source LoRaWAN network solution that could have far-reaching effects on the future of how the internet of things functions. If the term LoRaWAN (or LP-WAN for that matter) are unfamiliar to you, you’re not alone. LP-WAN stands for Low Power Wide Area Network and they’re networks designed to efficiently, wirelessly connect devices over a large geographic area while minimizing power output. An LP-WAN is essential for the effective use of IoT devices, especially those that rely on batteries. LoRaWAN is a specific open source solution that allows companies to enable LP-WAN networks. “[We] chose to develop a LoRaWAN open-source solution because we believe it is a good compromise between proprietary and open solutions, and it provides many of our members an opportunity to compete in the low power wide area (LPWA) space,” said CableLabs Principle Architect Daryl Malas. This new open-source development is a departure for CableLabs in that it is intended to provide consumers of all kinds, not just cable customers, access to the benefits of an efficient connected network of devices. 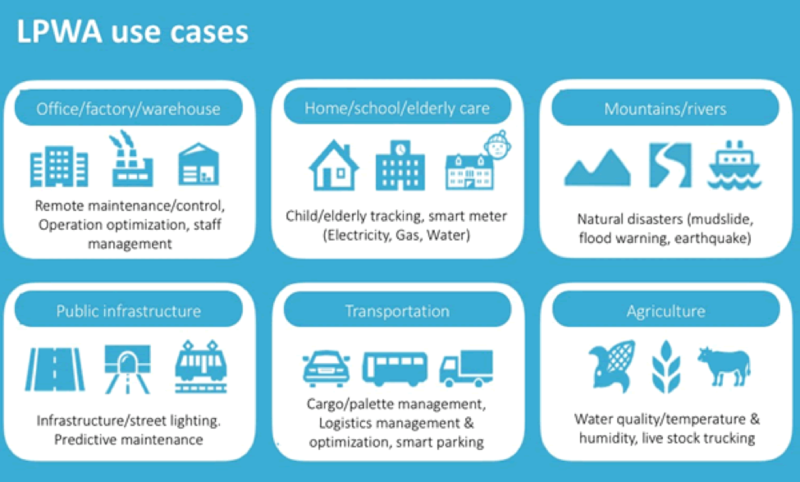 IoT devices have the potential to improve the lives of not just a specific set of customers, but whole communities, regardless of the technology used to connect to the internet. In their blog, CableLabs imagines an example of this benefit being a city park equipped with connected rain sensors that communicate with sprinkler systems to prevent water waste. By supporting an open-source solution like LoRaWAN, CableLabs is endorsing a collaborative technological future. It is lowering the barriers not just for the cable industry, but for everyone participating in the next generation of internet of things devices. To learn more about CableLabs and the LoRaWAN protocol including code repository, you can go here.